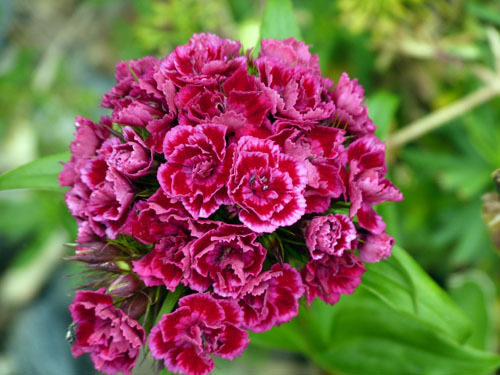 Sweet William (Dianthus Barbatus) is a wildflower that originated in the mountain areas of Europe. I’ve never had the pleasure of seeing it naturalized in the landscape. But according to most accounts it has spread and grows wild throughout most of the United States. These easy, beautiful, hardy, and multicolored plants have taken a front and center position in my borders for many years. They add color like nothing else can and go with just about everything else you’ll ever have. And the patterns in the frilly petals help make these flowers exceptional. The colors that vary from white, pinks to rose, and burgundy to red are guaranteed to get lots of oohs and ahhs from every visitor to your garden. 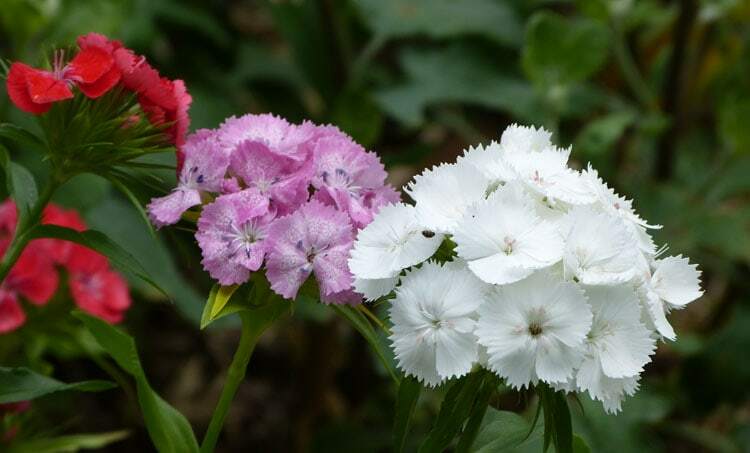 Red, pink and pure white – Sweet William. 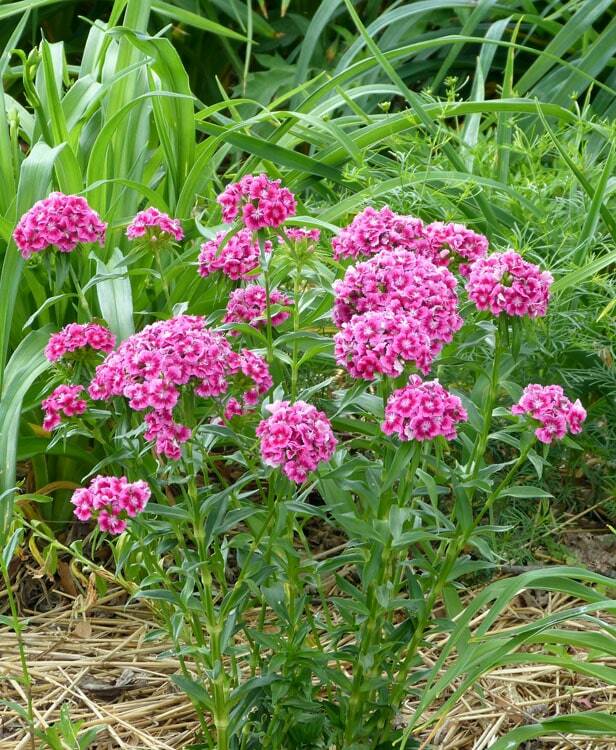 I buy Sweet William seed by the pound and scatter/sow it in the spring and again in late summer and fall all around my borders that edge our acre of ground. Although Sweet William is suppose to be a biennial and bloom the second year after planted, I’ve had them bloom the first year. But even if you have to wait — believe me they’re worth it. To get them started and make sure you have continuous bloom, sow seed every year. That way you’ll always have bloom and you’ll always have some new plants getting ready to bloom the following year. 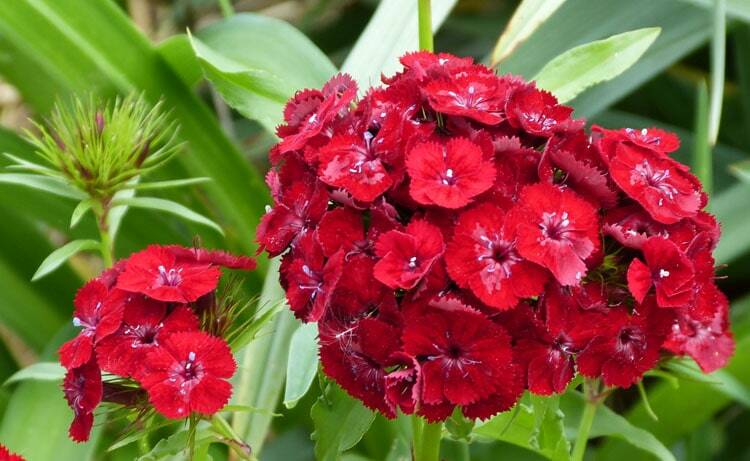 Red and pink Sweet William blooms. Bloom time is long. Two months of bloom is the norm in my borders and sometimes three months. Shades of pink and red. After the flowers fade and the seed is set, I collect it and scatter it throughout my borders where it’s needed. The seed of some cultivars is said not to bear true to the parent. To tell you the truth, I never paid much attention — I just know it’s still beautiful. Shades of pink and white Sweet William. Most of my borders are mulched, but on the edges (which is where I like to sow Sweet William) the straw is thin and at times non-existent. Fortunately, Sweet William is drought tolerant to a degree. Where I am in Virginia, periods of drought are normal. In spite of that, the only time I ever lost this wonderful plant was several years ago during the longest drought I ever remember. White and red Sweet William with Oenothera blooms. 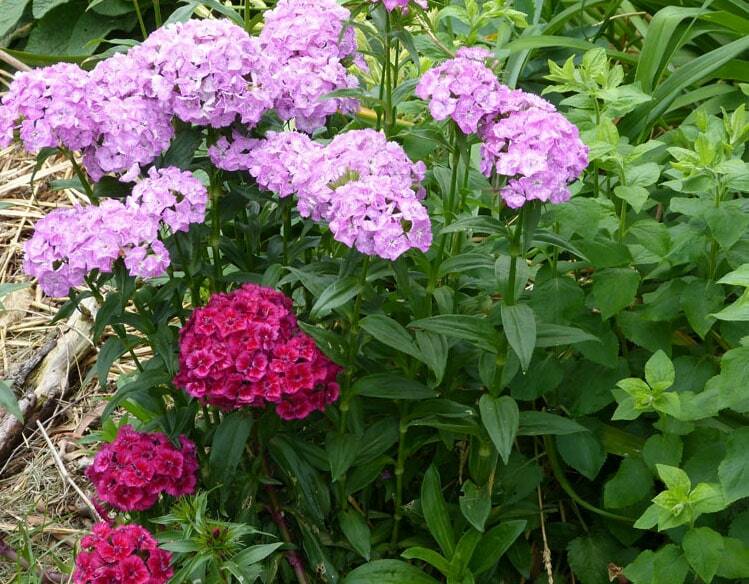 Sweet Williams are excellent cut flowers, but I like them best complimenting the blooms of my other perennials and annuals in the borders. Once you have these wildflowers in your garden, you’ll never want to be without them. The beauty they add to your existing plants is amazing. So if you don’t have any — plan to order Sweet William. 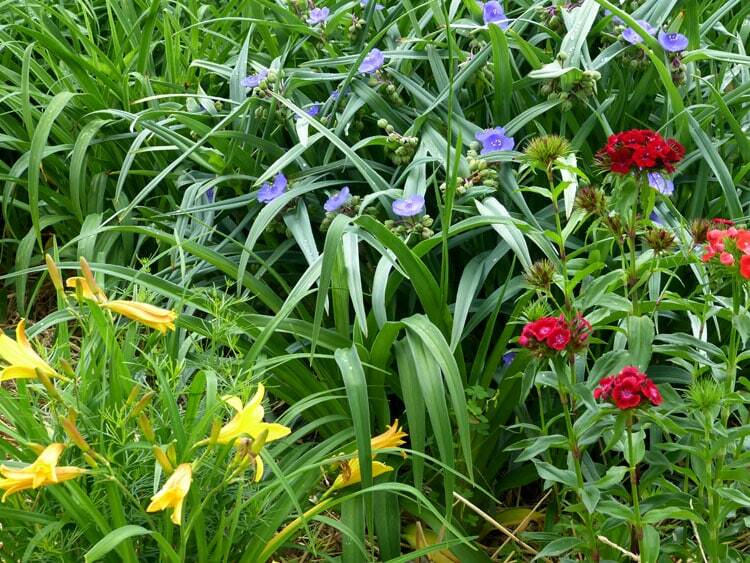 And order enough that you can sow now and then sow again in late summer and fall for the best possible results. 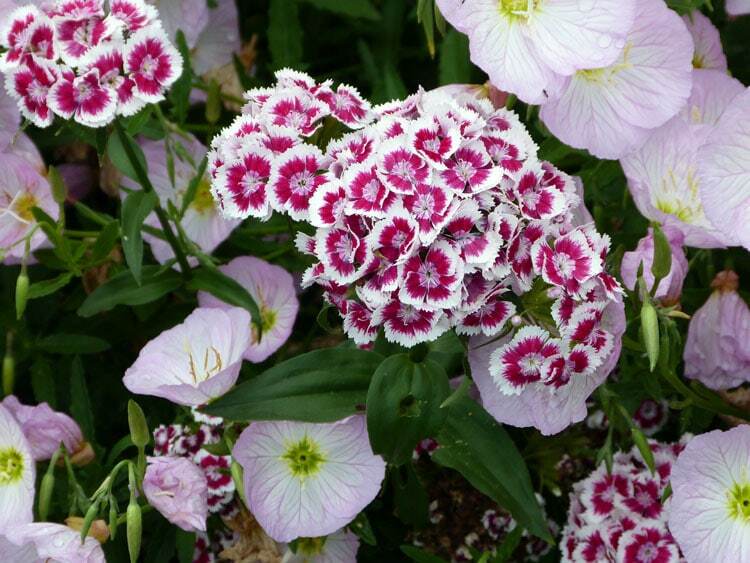 Blooms on these Sweet Williams are blood red and look fabulous with the other blue and yellow blooms. Gorgeous pictures! Thanks, Bill and Theresa. One thing about Bill’s pictures, Diane, it allows me to enjoy these plants even in the winter! Hi Theresa, I have never had much success with sprinkling seed here and there like you seem to do with the Sweet William. I would be delighted if I did. Usually, I just never see them again. Oh, and those colors are just fabulous – great photographs. Do you start yours in flats Sandra? Success? No, I just sprinkle hither and thither. That’s what it sounds like you do too, no? I’m guessing from your comment, that you start in flats initially until you get them going? I just scatter my seed. I never start Sweet William in flats because its so easy just to scatter. When you said you never had much success with sprinkling seed I thought maybe you started it in flats, since it sounded like you did have it. Sorry for the confusion. I’ve only had it when I buy a six pack – never success from seed. Oh, Sandra — how sad! 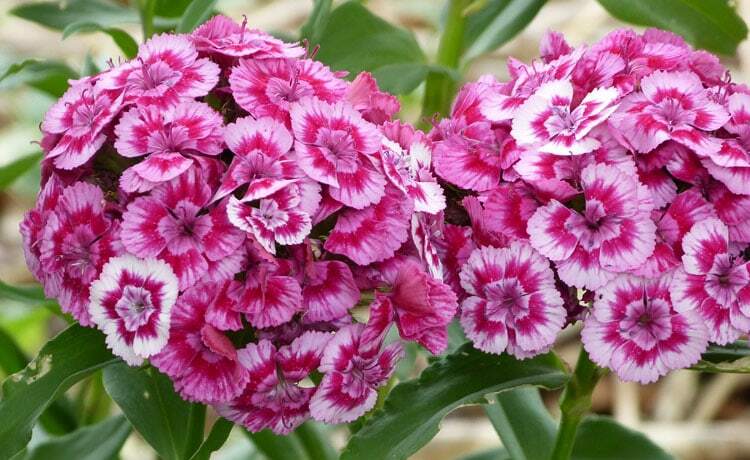 Sweet William is so beautiful — too beautiful to be limited to a 6 pack. The seed is easy to start. If nothing else – start off with a small pack of seed and germinate in a few jugs (like the wintersown method). Plant the seedlings around when they’re up about 1/2 inch or more. They add so much to everything I hate to think of not having but six! The scent is lovely also. I will definitely have to give them another go.